Photo by Marty Cheek * From left, Miller Red Barn Association committee members Richard Perino, Patti Perino, Gary Walton, Kathy Chavez, and Anna Montes at the entrance to the historic landmark located at Christmas Hill Park. In days gone by, nothing embodied the spirit of community like an old-fashioned barn raising. Neighbor helped neighbor to ensure that a structure so critical to a ranch or farm would be built to last. The Miller Red Barn, an historical landmark from Gilroy’s formative years, needs repairs. Fortunately, a group of citizens have come together to preserve the barn’s history, with the hope of leaving a legacy for future generations to enjoy. They held a fundraising dinner on Saturday, Sept. 22, to benefit the ongoing project. When Henry Miller had the barn built in 1891, mud sills were common and efficient. Unfortunately, squirrels and other animals can dig under them, compromising the structure. A new foundation and flooring will make the barn fully ADA compliant, stabilize the structure, and keep out unwanted animal visitors. 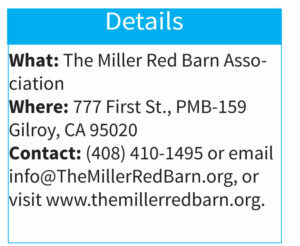 The Miller Red Barn Association intends to turn the barn into an educational and cultural center for the Gilroy community. To raise funds, the group holds a dinner each September. The event coincides with Admission Day—the day California became a state in 1850—which Henry Miller always celebrated. This year the event had added meaning. Reaching this point in the barn’s restoration has been a challenge. Originally, the city of Gilroy wanted to demolish the structure, which sits in Christmas Hill Park. But a group of citizens, first known as the Save the Miller Red Barn Committee, came together to fight for the barn and all that it represents. In the meantime, the committee did its homework to convince the city of the building’s important role in local history. Two members of the committee, Sarah and John Kelly, conducted research at the Bancroft Library, a special-collections library located on the campus of the University of California at Berkeley. The process was especially tedious because information was stored in boxes, not the traditional microfiche, which expedites research. Additionally, Margaret Aaron dug up some information from the San Jose Mercury News archives. 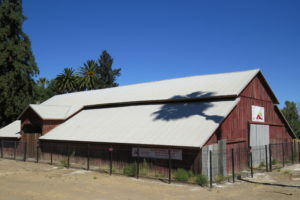 She was able to pull up a newspaper article which stated that on May 9, 1891, Henry Miller was building a barn in Gilroy on the Glen Loma Ranch. The findings were significant. Henry Miller was the largest landowner and cattle baron of his age. At the time of his death in 1916, he owned 1.4 million acres in California, which would amount to an unimaginable fortune today. His property sprawled westward from Hanna Street. 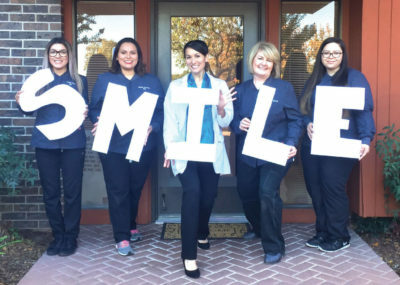 For Gilroy to grow, the city had to keep buying property from Miller. And thus, his barn proved to be historically relevant. In fact, after much hard work from a group of dedicated volunteers, the Miller Red Barn was named not only a state landmark but also, in 2016, a national landmark. Future plans include turning it into an agricultural history museum, complete with storyboards, and opening it for tours to schoolchildren. The Miller Red Barn Association wants to honor each of those contributions, along with the legacy of Henry Miller himself, to recognize the impact that agriculture has had on this region. In 2017, funds were collected to restore the barn’s roof. 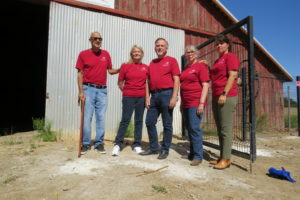 Though the Miller Red Barn Association benefits from grants, it is a group of local donors who provide most of the funding for these restoration projects. The Perinos and all the Miller Red Barn Association members are grateful for the support. A building is as solid as its foundation. 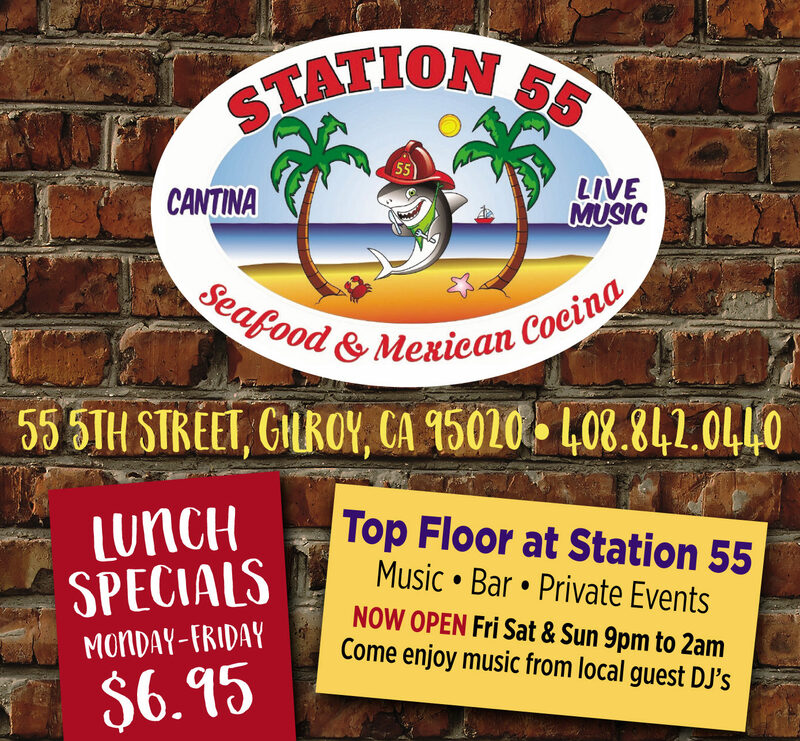 And the same can be said for a community like Gilroy. When neighbor helps neighbor, just as they did in barn-raising days, traditions and legacies continue. The Miller Red Barn is a testament to that.